It is thought that 1000 cyclists every single week are involved in some kind of accident or incident on the road and in the countryside, as well as at competitive events. You may not realise it, but if you are unfortunate enough to be involved in a cycling accident that was not your own fault, you may be eligible to make a compensation claim. Cyclists are vulnerable road users, with little to no protection versus the much larger, heavier and faster modes of transport that they share the road with. Cyclists should always take precautions when cycling, in the daytime as well as when the sun has gone down, to protect themselves and increase their visibility on the roads. Accidents do occur, mainly when a vehicle has not seen a cyclist when turning a corner, or when not enough room is given when overtaking. It can be an incredibly upsetting and unnerving experience and can cause minor injuries and more severe ones that you could be stuck with for the rest of your life. Read on for our guide to cycling accidents, and find out if you could be entitled to make a compensation claim today. As well as physical issues like pain and mobility, you may also be dealing with psychological issues such as the loss of confidence and independence. When cycling, compared to other road users, you are more exposed and less protected which is why many cycling accidents are very serious. As well as covering the financial costs to help you recover as quickly and comfortably as possible; compensation can also help you to adjust your lifestyle to cope with the impact of the accident and your injuries. It can also help you with the support of your family due to loss of earnings, and may even cover the expenses of repairs on your bike – or a new bike completely in major incidents. Serious injuries mean it is likely that you may have to take a long period of sick leave or may have to leave your job completely. Compensation can cover these costs and give you the peace of mind that your immediate expenses are covered. As well as any rehabilitation, care and home modifications and alterations that were necessary after your accident. 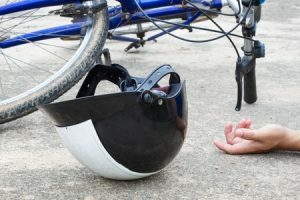 A professional personal injury lawyer with experience dealing with cases involving cycling accidents is your best hope of getting the money you deserve. Are You Eligible To Claim Compensation? In most situations, you will be eligible to claim compensation, but just to be sure we have highlighted some important factors that can determine if you are able to or not. If you are making a claim within three years of the accident occurring and it was due to the negligence of someone else, you are more than likely due compensation. Be careful to make sure you do make a claim within three years of the accident, as this is a legal time limit and once it has passed, you are not eligible for any compensation. Although it can be extended, this is rare and normally involves special circumstances. This is why it is urgent that you get in touch with a personal liability lawyer as soon as possible. Poorly maintained cycle lanes or roads, like tarmac cracks and potholes for example. The first thing you need to do after being involved in a cycling accident is to seek medical assistance and treatment. After that, as soon as you are able to, you need to contact a reputable professional injury lawyer. It may not be easy to do this, as you will have to go into considerable amounts of details about what actually happened. However, this information is necessary and can help your lawyer to build a significantly stronger case for compensation. It will help your case for compensation if you gather up as much evidence and information about the incident as possible. This includes any photographs you took of the injuries and damages to your bike you sustained, as well as the place where the incident took, particularly important if it was due to surface conditions that the accident occurred, the time, place and date it occurred, details of other parties involved in the accident and anything else relevant. Your personal injury lawyer will help you at every stage of the compensation claim process and will advise you what to do. Unless you have experience in the world of personal injury law and road accidents or cycling accidents, you should avoid taking on the case yourself. There is also no need to worry about it being a costly affair seeking the advice and assistance of a professional, as most of the personal injury lawyer’s worth their grain of salt in this country, operate on a ‘ no win, no fee’ basis. This means that if you are, for whatever reason, unsuccessful in your compensation claim, you will not be expected to pay for any of your lawyer’s fees or court costs. However, don’t be alarmed because even if you are successful, the cost is relatively low – particularly in comparison to the amount of money it is possible for you to win. Cycling is something that you should be able to do without fearing injury or worse from an accident that isn’t your fault. So when this does happen, you should seek out the help of a professional to get the compensation you deserve.